While there are probably some people who are still incredulous that the Samsung Galaxy Note 8 is even going to happen after the flaming Note 7 debacle, it is going to happen – and it's going to be one of the most powerful smartphones ever. A host of top-end specs will come together to create a device that's blisteringly fast, and impressive to look at – and it needs a 4K screen. For those saying we don’t need such technology in a phone, let me be clear: I agree. Even though there is content coming for the Sony Xperia XZ Premium (the only phone on the market with the Ultra HD resolution), it’s not going to make that much difference on a small screen. It’s a gimmick. The problem with that is that there isn’t ever going to be a good time for a 4K screen on a smartphone for day to day use… but there is when it comes to VR. And which brand is the most synonymous with virtual reality on a mobile? Well, that would be Samsung and its efforts with the Samsung Gear VR. The upgrade to a 4K display would have a direct and impressive effect on the quality of the virtual experience, and would lure many more customers into the fold. 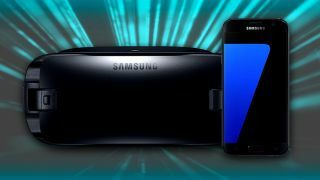 Given that Samsung always unleashes its best screen technology on the Note series, we’ve got to have a 4K screen on the Galaxy Note 8 – and Samsung should use that to propel mobile VR to the next level of clarity and quality. The obvious issue with packing a 4K display into any phone is that you need much more power to drive those extra pixels. There would probably be a small perception of enhanced display quality, but largely you’d be looking at a screen that’s draining the battery for no good reason. This is something Samsung already recognizes with its current QHD screen – the Galaxy S8 automatically starts off in Full HD mode, and it’s up to the user to switch it up. When questioned on why Samsung would put such a high-sharpness screen into a phone, and then turn it off, Brown intimated that one of the key benefits is for VR or gaming. “But for everyday use – internet browsing, messaging etc, you don’t really need [a QHD screen],” he added. This would lead to a weird situation where Samsung would be selling a phone that would be capable of being four times more sharp… but most of the time you’d be looking at a normal HD display. Then again, if the experience is the same in daily use, but the battery lasts longer, this seems like the most sensible way to do things… and if the real power users want to use the Note 8 at full power, they can do. Of course, it’s not simply a case of slinging in more pixels and virtual reality instantly looking better (although it would to a degree). Work would need to be done by app developers to code in the improved resolution, apps would possibly cost more as a result, and there would be inconsistencies between which phones can perform which tasks in Gear VR. But that’s a natural part of evolution for any piece of technology, and it’s one that Samsung could easily overcome. In fact, the only reason I can see for Samsung not making the jump to 4K is cost, as the Galaxy S8 pair are already among the most expensive phones on the market, and the Note usually costs more than the S model it follows. And Samsung has confirmed to me in the past that it’s looking at 4K as a vehicle to improve VR, with Brown previously stating that the size of the pixels would be smaller, and thus perfect for the virtual experience. “I don't think [4K on a phone] is a gimmick; eventually 4K screens will become more mainstream,“ he told me in early 2016. 4K doesn’t need to happen on your smartphone, but Samsung has an opportunity to find a use for it in VR and simultaneously give the Note 8 a headline feature. It’s the right time, given the company’s new Infinity Display technology and the fact that it can’t make the flagship display much bigger than 6.2 inches. Let’s find out if it’s made the smart call come September.